Christian Binder has been an attorney at Binder & Malter, LLP since 2013. Mr. Binder was admitted to the California Bar in December 2012 after graduating from the Santa Clara School of Law in June 2012. Mr. Binder’s practice includes debtor and creditor representation, bankruptcy and financial analysis of individuals and entities. Mr. Binder received his Bachelor of Science in Commerce from Santa Clara University in Finance in 2009. 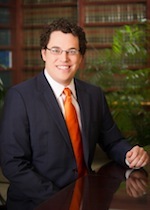 Mr. Binder earned his law degree from the Santa Clara University School of Law in 2012. During law school, Mr. Binder was the recipient of a number of awards, including being awarded Witkin Awards in California Civil Procedure, California Evictions and Unlawful Detainer, Commercial Finance, and Statutory Analysis. Additionally, Mr. Binder was awarded CALI Awards for Opening and Closing Statements and in Debtor and Creditor’s Rights (Bankruptcy) and received the American Bankruptcy Institute (ABI) Certificate of Excellence in Bankruptcy for 2012. Member, Santa Clara County Bar Association. Hawkins v. Franchise Tax Board 769 F.3d 662 (9th Cir. 2014) (pet. en. banc pending), presentations, Don Edwards Inn of Court, November 6, 2014 and on December 1, 2014. "Bad Things Banks Do," presentation regarding what to watch out for in loan document review, Don Edwards Inn of Court, January 8, 2015.